The Vietnamese People’s Navy is urged to master scientific-technological advances to upgrade and produce weapons and technical facilities in service of training and fighting. Addressing the Navy’s 55 th founding anniversary in the northern port city of Hai Phong on May 7, National Assembly Chairman Nguyen Phu Trong asked the naval force to concentrate on reinforcing its force in terms of training and combative readiness. The force should closely collaborate with other armed forces, including these working in the management, protection and exploitation of marine resources, he said. Praising the naval force’s exploits and achievements over the past 55 years, NA Chairman reasserted that the navy is the key force to defend the country’s sovereignty at sea and on islands. The current situation requires the Navy to firmly defend the nation’ sovereignty and at the same time maintain peace and stability on sea waters and islands and play its vanguard role in ensuring the economics-defense-sea and island security relationship, Chairman Trong emphasized. He underlined the tasks the Navy needs to fulfill, including to mange and monitor closely the country’s sovereign sea waters and islands, maintain security against all acts infringing upon its sovereignty, sovereign rights, jurisdiction rights and national interests at sea. In addition to these, it has to work to protect Vietnam’s normal activities on sea waters and islands in accordance with its laws and regulations of international laws, ensure maritime safety and take part in search and rescue activities at sea in line with the country’s laws and international conventions that Vietnam has joined. Other task of the navy is to coordinate with other forces to defeat all attacks at sea, NA Chairman stressed. Rear Admiral Nguyen Van Hien, Commander of the Vietnam People’s Navy, confirmed that in any circumstances, the Navy will be loyal to the Party, the fatherland and the people and will uphold the spirit of undauntedness, ingenuity, and creativeness to defeat all invaders. 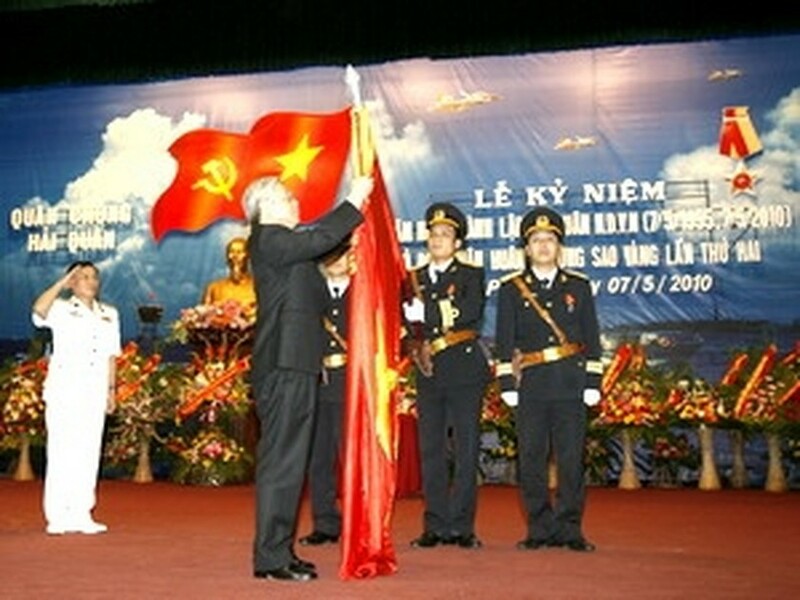 At the celebration, NA Chairman Nguyen Phu Trong presented the Gold Star Order, the State’s highest distinction to the Vietnam People’s Navy. Earlier, the Chairman has a telephone talk with armymen and people on Truong Sa island, affirming that the Party, the State and the people always stand side by side with the persons there. He pointed out that Truong Sa and Hoang Sa archipelagoes hold an extremely important strategic positions in terms of economics, politics, and culture in the nation’s sovereignty. 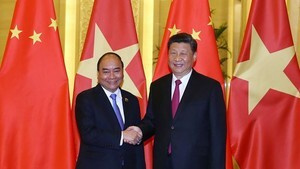 The two archipelagoes work as the shield to the east of Vietnam , NA Chairman Trong underscored, emphasizing the determination to defend the nation’s territorial integrity and maintain a stable environment for national construction and development. He said he hoped soldiers and people on Truong Sa will continue to contribute their part to building and protecting the country.